which is warming and most appropriate for winter, this recipe uses the fine rootlet filaments that grow from the main roots of ginseng. 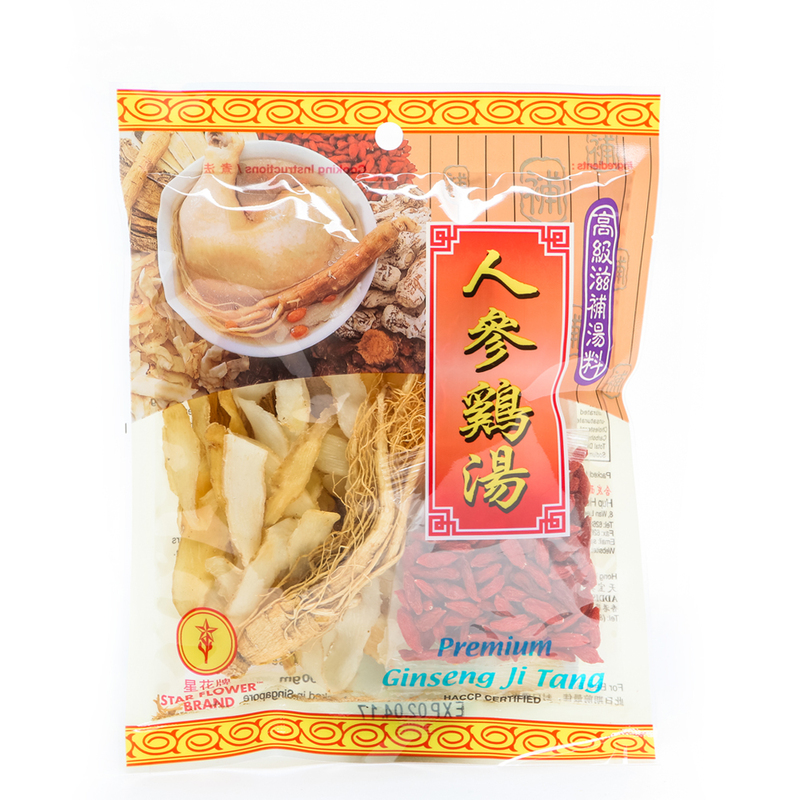 These have similar tonic properties to regular ginseng, but they are slightly cooling and may therefore be used in summer cooking. In addition, this recipe uses red dates (hong zao 紅棗 ), a herb which is a tonic to the spleen and stomach, thereby improving digestion and assimilation of tonic nutrients. Red dates also have a calming effect on the whole system, while at the same time increasing available energy.